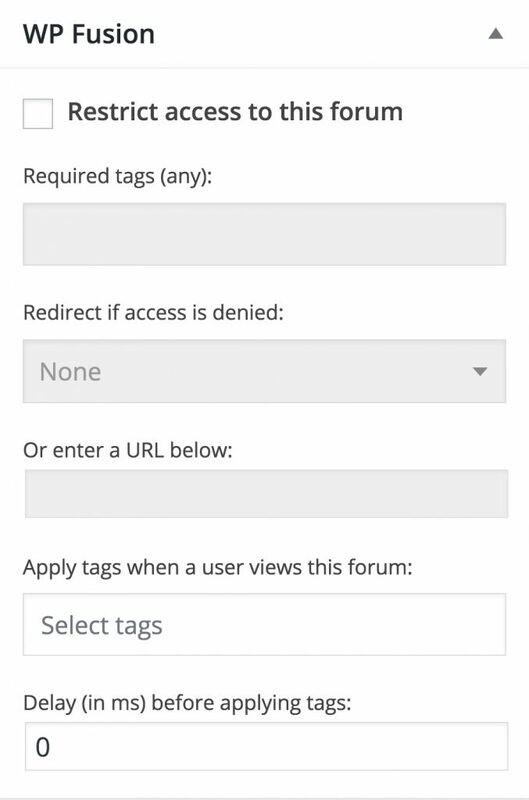 Using WP Fusion and bbpress, you can restrict curtain users access to a forum or category, if the user does not have access you can set a custom redirect url. You can also apply tags to a user when a user lands on a forum or category. See the screenshot on the right for an example of the options WP Fusion offers you when configuring bbpress. Note: WPF adds a class to the form, “wpf-locked”. You can use this to style the form via CSS so that you can indicate which forums are locked.